Once upon a time, there was a photographer who enjoyed shooting with toy cameras. He wanted to combine the aesthetic of the Holga with the convenience of digital SLRs. He attached a lens to a small bellows with an SLR mount, and the Lensbaby was born. I owned an Original Lensbaby, which I replaced with the Lensbaby 2.0 when it came out. For the last few weeks I’ve been testing the new Lensbaby 3G. All three Lensbaby models operate on the same basic design concept—the lens is mounted on a small plastic bellows that allows you to focus. There is a sweet spot of sharp focus in the center of the lens, and the optics get more blurry towards the edges. By bending the bellows, the sweet spot can be moved left to right, and up and down. The size of the sweet spot is also affected by your aperture setting, and whether you are using a camera with a crop factor or full frame sensor. Wide apertures show more of the edges of the Lensbaby, which creates a smaller sweet spot and more blur. The aperture is adjusted with small discs that are inserted in front of the lens. Without any aperture discs, the original Lensbaby is ƒ/2.8—the 2.0 and 3G are ƒ/2. Setting your camera to aperture priority mode makes metering with the fixed aperture lens easy. Once you get used to focusing the lens, simply bend and fire. The focal length is about 50mm. On digital SLRs with a smaller sensor, this translates to 75–80mm. A variety of accessories are available including wide angle adapters and macro attachments. I have shot extensively with the Original Lensbaby and Lensbaby 2.0 on the Canon 10D and 20D. The Lensbaby usually lives on my backup DSLR. Most of my Lensbaby shooting has been at 80mm, which is a nice focal length for isolating details. My primary camera is currently the Canon 5D. I kept the Lensbaby 2.0 on my 20D because I had a mental block against making blurry images with a $2500 camera. Eventually I embraced the irony and started using the Lensbaby on the 5D. All I can say is: what a combination! The out-of-focus areas look quite painterly, and the bigger viewfinder of the full-frame camera makes focusing and composing easier. So how do the three models of Lensbaby stack up? The Original Lensbaby has a mildly sharp sweet spot, and costs $100. I wish I had kept my Original when I upgraded to the 2.0. The Original is really nice for portraits because the sweet spot is less sharp, and the transition from the sweet spot to blurry areas is more gradual. The Lensbaby 2.0 is really fun to use at ƒ/2 or ƒ/2.8. The sweet spot is quite sharp, creating a different look than the Original Lensbaby. The 2.0 really blurs highlights in an interesting way—when bent in certain directions, points of light become oblong streaks near the edges of the frame. Once you get used the look of the 2.0, you may find yourself searching for sharp sweet spot details to surround with blurry, bent backgrounds. The 2.0 is a stop faster than the Original, features easier to change aperture discs, and costs $150. The new Lensbaby 3G is essentially a Lensbaby 2.0 that allows you to lock and finely adjust the focus and sweet spot orientation. There is a button on the top right that locks the lens into position, and two knobs on the bottom that act as a release. 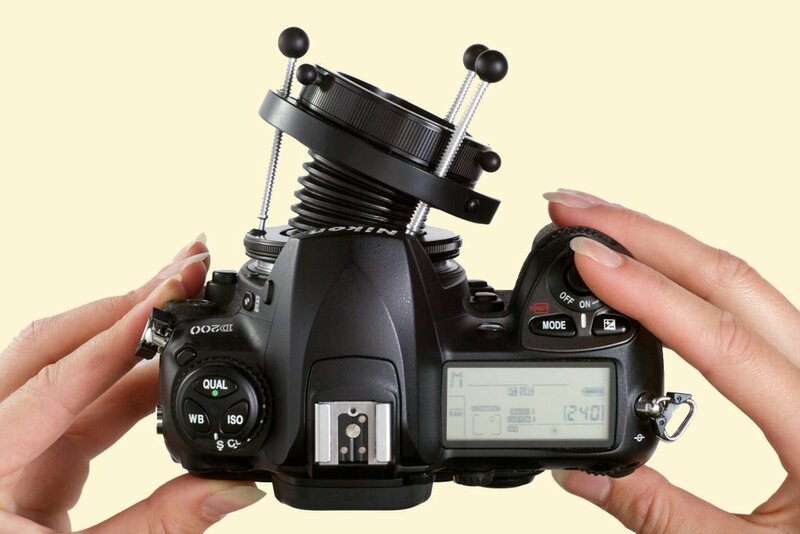 Three small circular knobs allow you to finely adjust focus once locked, and three thin metal threaded posts protrude from the front, allowing you to finely adjust the bend settings. Photographers have often used toy cameras like the Holga to break out of a rut. Simplifying your variables and introducing indeterminacy into your shooting can give you a new perspective on image making. I have enjoyed taking long walks with the Lensbaby 2.0 on my camera—it frees up my normal thinking about subject matter and composition because I have to see in a different way to make good images. While out walking, nobody seems to pay much attention to the lens, except for the occasional photographer who recognizes the Lensbaby. The Original and 2.0 are the size of a small prime lens, and reasonably stealth for street photography. The 3G is only a little bit bigger, but seems to attract more attention due to the three metal adjustment posts that stick out. The adjustment posts also make the 3G rattle a little bit. My first impression was that the 3G’s buttons and controls introduced too much complexity into my shooting experience. This impression quickly changed when I did some testing with the camera on a tripod. For tabletop or food photography, the focus ring on the 3G is a revelation. With the Lensbaby 2.0, I would often have to shoot a lot of frames in order to get one shot where I was happy with the focus. The ability to lock and fine tune focus with the 3G neatly solves this problem. The fine focusing control on the 3G is smooth and easy to use. Just set the focus knobs in the middle of their range, lock the lens, and then fine tune your settings. In addition to focus control, the 3G's adjustment posts allow you to fine tune the sweet spot placement. The knobs are a nice size and turn smoothly. In fact, the well thought out ergonomic design of the 3G became much more apparent after an hour of tabletop shooting. I shot a small bronze figure playing a saxophone, and was able to focus and move the sweet spot from the sax to the figure’s face in just a few seconds. When reviewing these images later on my computer, both the focus and sweet spot were right where I wanted them. I started thinking about the possibilities of using the Lensbaby 3G for long exposures— anything from an impressionistic, blurry waterfall, to urban scenes with the motion of cars and people. Maybe even some night photography. Being able to fix the position of the Lensbaby and fine tune the settings opens up a lot of creative possibilities. And just because I can lock the Lensbaby 3G in place doesn’t mean I have to. In a few short weeks I’ve grown to appreciate the funkier styling, and functionality wise, the Lensbaby 3G is definitely the best Lensbaby yet. Lensbaby product information, photo galleries, user guides, and a forum. 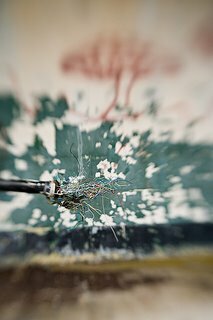 To see some more of my Lensbaby work, please have a look at the Strange Visions gallery on my website (link below). Good write-up on this terrific specialty lens, Joe! This little gizmo is, indeed, great fun to use. (One does have to be careful not to overdo it!) The Lensbaby 3 is calling my name. As you note it would present some interesting new possibilities. Here is one of my own Lensbaby 2 shots taken off of the already visually funky Cloud Gate sculpture at Chicago's Millennium Park. I have many more that I've not yet posted to galleries. It's an addictive toy. Wait a minute...imagine what can you do when you detach a lens from the lens mount and continue shooting? Give it a shot. It's exactly the same as a len baby and you don't have to worry about those silly aperture rings. You should probably also mention that low end Nikon DSLRs (D40/50/70/80) won't meter with a Lensbaby, although you can use them in manual mode. I own an Original Lens Baby. I tried shooting IR with it, but due to the longer exposure times, this was not very succesful (and I didn't feel like making some fix-mounting myself). this v3 really looks interesting, although the price has been increased dramatically. Also, since I shoot four-thirds, I find the LBs on the long side. i guess it's better to get a .45x wide converter with it.. however.. it loses filter capacity..
oh well, here's hoping for a real wide LB someday. I don't want to be a buzz-kill, but the only pictures that make me actually nautious are lens baby pictures. I get vertigo from looking at them. They have zero charm to me, the opposite of Holga pictures, which I tend to really love. Sean - Sounds like a recipe for a dirty sensor. Ade - I also shoot with a Holga. They are both fun to use. Thanks for the info on the Nikons. Marco - the threads on the Lensbaby are the same as many video camera adapters - 37mm. I bet you can find a wide angle adapter with front threads. Infrared with the 3G would be super cool. Paul - Sorry about your nausea! I have the original Lensbaby and like it a lot; it's fun to use when I don't find the light or scenery particularly interesting or when I want a break from trying to achieve a technically excellent and sharp picture. I was really looking forward to the new Lensbaby 3G until I saw the price. To me at least, the threefold increase in price (from $96 to almost $300) moves it from being a fun and useful creative toy to being a fairly substantial investment in a lens that might be better spent on more lighting equipment or a new tripod. If I come across a great deal on a used one I'll snap it up, but at the current price of the 3G it's pretty far down my list.